Scientist, martial artist, and founder of the method that bears his name, Moshe Feldenkrais wrote several influential books on the relationship between movement, learning, and health. In The Elusive Obvious he presents ideas that are more relevant today than when the book was first published, as current research strongly supports many of the insights on which the Feldenkrais Method is based. This beautiful new edition is ready to be treasured by an emerging generation of somatic practitioners, movement teachers, performing artists, and anyone interested in self-improvement and healing. The two main strands of the Feldenkrais Method—Awareness Through Movement and Functional Integration—are now known by many around the world for reducing pain and anxiety, cultivating vitality, and improving performance. 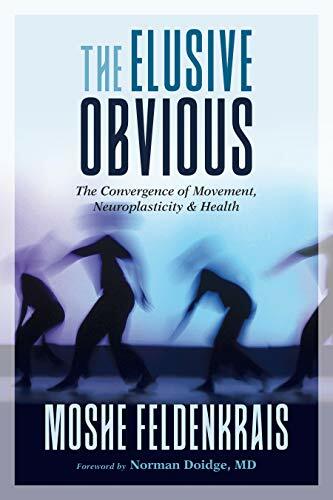 The Elusive Obvious presents a thorough and accessible explanation of the Feldenkrais Method, and, as its title indicates, throws light on the solutions to many of our difficulties that are hidden in plain sight.